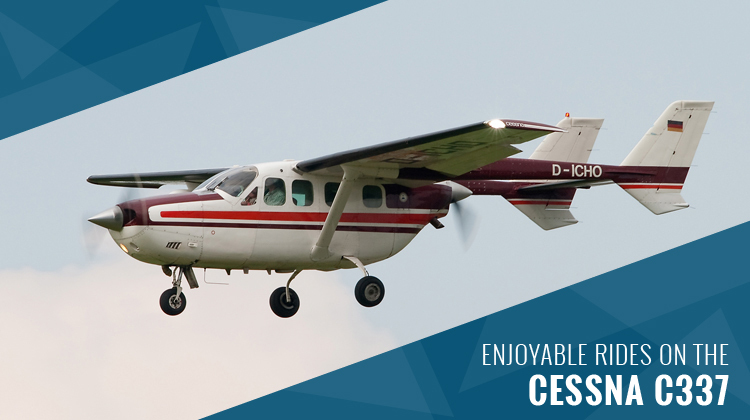 Why endure the inconveniences of traffic jams, when you can have enjoyable flights and view clear skies while riding the Cessna C337? The Skymaster is mostly flown for personal use but with trends of traveling by air, charters can be requested to avoid lengthy commutes. Since its first flight during the 60s over 2,000 Skymasters are being widely flown around the world. From 1990 to 2012, this small prop powered plane has been relied on for rescue and military operations. Today, it serves as a convenient Air Taxi to cater for 5 passengers who’ll need to reach their intended locations in a matter of minutes. This lightweight aircraft is quite a fun ride, since almost half of its body is built with windows. As passengers hop aboard the plane, they’ll feel much closer to the skies and get to enjoy the landscapes they’ll be flying by. If you’ll be chartering for this aircraft, you’ll most likely be allowed to bring minimal luggage. This feature would be helpful especially if you’re travelling for an urgent meeting and you’ll need to bring your presentation materials along. Would you like to have some space and take a time out amidst the busy-ness of your day? Then chartering for the Skymaster can quickly give a relaxing boost as you glide through the skies, while you’re on your way to urgent meetings. The Cessna 337’s space is used in the most maximum ways possible. For instance, each of its two engines is mounted on the nose and rear part of the aircraft. Four sets of windows are placed on the plane’s sides so pilots and passengers can have a fuller view of the skies. As you schedule for a charter of this plane, it’s advisable to confirm who and what you’ll have throughout the trip. Cessna 337 also has a retractable undercarriage to lessen flight drags and enable the plane to fly more seamlessly. This plane has also gone through several upgrades such as increased takeoff weights, boosts in engine performance and improved propellers. Manufactured by Cessna Aircraft Company and Reims Aviation, the Cessna 337 or Skymaster was developed during the 1960s. Throughout its years of production, larger models were introduced and performance tweaks were implemented to serve various applications. Though this aircraft was initially made by Cessna Aircraft, Reims Aviation took over its production in the 1980s. 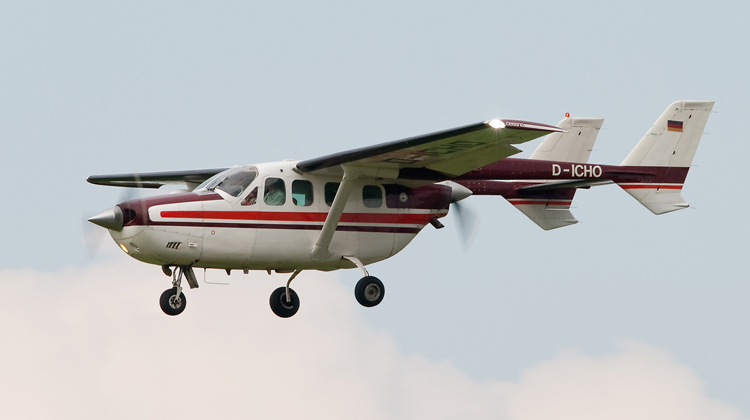 Today, the Cessna 337 got produced in variances as a way of customizing its performance features for the purposes of its purchasers. It currently has over 20 series with unique features, ranging from pressurized cabins, added loudspeakers for military campaigns, longer wingspans and so much more. With the Cessna 337’s dozens of series and thousands of produced planes, one significant feature remains consistent. Its agility for short flights makes the aircraft a reliable, on-call service for those who need to urgently reach their nearby destinations.